As we have talked about in previous blogs, nothing is worse than a broken air conditioning unit in the intense heat of summer. As your local electrician for Colorado Springs, we advise you, before the temperatures start rising, to make sure your air conditioning unit and system is functioning well. If your air conditioning isn’t running well, cooling your home, or is making odd noises, it may be time to contact your local electrician. Here are common problems that homeowners have with their air conditioning. Bad wiring can occur in your AC unit and is hazard to your home and family’s safety. Not only is bad wiring a fire hazard, but it can cause your air conditioning to run inefficiently or not run at all, due to the unit not getting enough power or tripping the circuit breaker. Though obviously each part of your air conditioning system is essential, when you are low on refrigerant, your unit will simply not work. Refrigerant is the chemical that cools the air. If your home is not cooling due to a problem with the refrigerant, there may be a leak and you will likely need to get the refrigerant system replaced. Just as refrigerant is absolutely necessary for cooling your home, so is the outside fan. If the outside fan isn’t working, even if you have enough refrigerant and the rest of the unit is working efficiently, your unit will not cool your home. A broken outside fan, if not fixed, can cause other problems such as the compressor may overheat and the unit may shut off or the compressor itself may need repair. 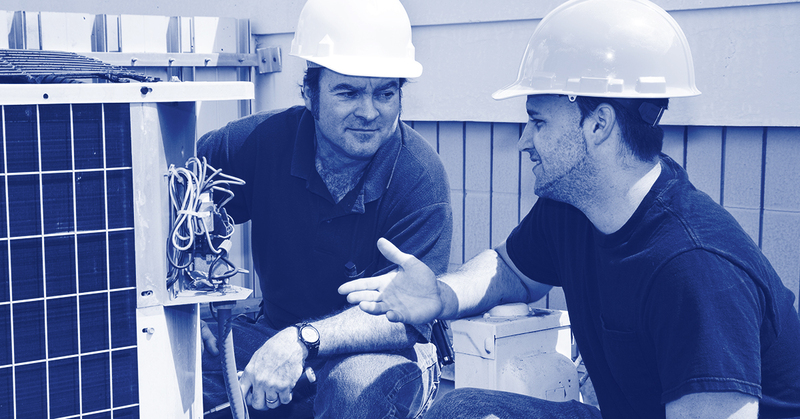 If your outside unit isn’t working, there are a few issues that may be occurring. One is a lack of power, due perhaps to bad wiring, a faulty thermostat or other essential part. If your unit isn’t running at all, shuts off prematurely, or is making odd noises, chances are your outside unit needs a little love from your local electrician. A frozen coil can be the result of air filters that need to be cleaned or an obstruction in the ductwork. Low refrigerant can also cause the coils in your AC unit to freeze. If it seems that there is a problem with the air flow associated with your unit, chances are the coil is frozen. Whenever you make a regular service appointment for your AC unit, make sure that the entire electrical system will be checked. Often, the wires or terminals corrode and cause the electrical contacts that make the system run to be inefficient or not function entirely. If your outdoor unit is functioning properly, but your AC system still isn’t working well, there could be an issue with your thermostat or other sensors that are used to tell the unit when to turn on and off. If your unit fails to turn on, keeps running long after your home has reached the desired temperature, or your unit isn’t functioning consistently, you may have a faulty thermostat or sensor.